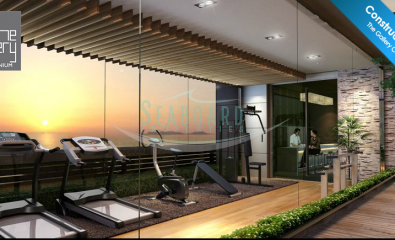 This 25 m² studio unit is located in a low rise condominium complex, just 100 meters from the Jomtien Beach. 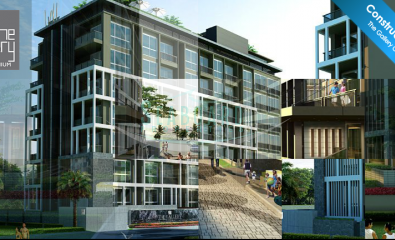 Conveniently located with easy access to restaurants, mini-marts, Thai night market, bars, bath bus route, etc. This 4th floor condo unit features modern furnishings, a fitted European kitchen with breakfast bar area, air conditioning, fitted wardrobe, quality bathroom with walk-in rain shower, and washing machine. 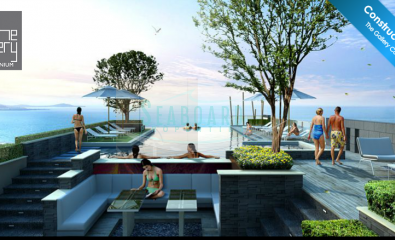 The building has rooftop infinity pool, gym, steam room, key card access, free Cable TV and WIFI connection, under ground parking and 24 hour security. Renting Terms: Minimum 3 months = 17,000 Baht/ month, Long Term = 15,000 Baht / month.